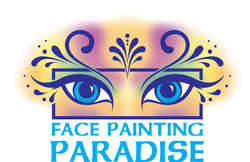 FACE PAINTING PARADISE IN UTAH! My Resume, qualifications and experience! CERTIFIED PROFESSIONAL MAKEUP ARTIST AND FACE PAINTER IN UTAH! objective: To Share my knowledge and experience of Face Painting and Cosmetics with others! Are you looking for a Professional, Fun, Talented Face Painter/Makeup Artist? · Hands-on experience in Customer Service, and Makeup Artistry. · Knowledge of the latest technology in Beauty and Bridal makeup. · A passion to learn and to increase my skills. If so, then you need look no further. You will see from my enclosed resume that I meet all of these qualifications and more. I would very much like to discuss opportunities with you. To schedule an appointment please call me at (435) 850-8256. The best time to reach me is between 8:00am and 9:00pm, but you can leave a voice message at any time, and I will return your call.